This is literally a one of a kind piece. 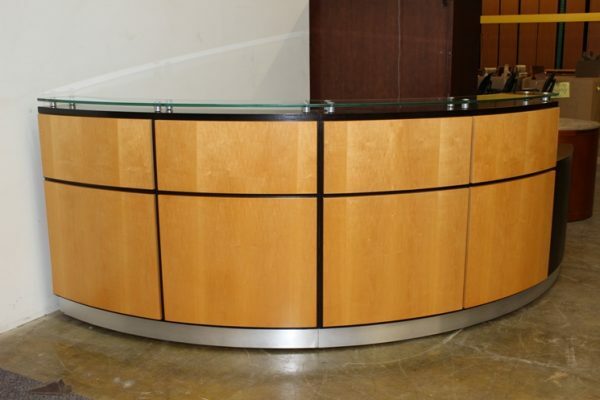 This custom reception desk is made of Mahogany with maple veneer inlays. This custom unit also comes equipped with a glass transaction counter top. Custom pieces like this new would be over $10,000. Act now to secure this one of a kind piece for your business.